Welcome to Lancaster's of Gold Canyon Havanese! Lancaster’s of Gold Canyon specializes in breeding beautiful, healthy and well-socialized companion Havanese puppies for loving families. We take pride in our breeding program, hand-raising each of our puppies in the scenic foothills of Gold Canyon, Arizona. Our dogs and puppies live in our home with us as cherished members of our family. Beginning with our first Havanese puppy in 2005, Lancaster’s of Gold Canyon has worked hard over the years to develop a genetically diverse, temperamentally sound and healthy line of Havanese. 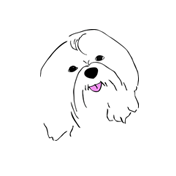 All of the dogs used in our breeding program are health tested per the recommendations of the Canine Health Information Center (CHIC), and the Havanese Club of America (HCA). This testing helps to ensure that our Havanese parents pass on only the best health characteristics to future generations. Lancaster’s of Gold Canyon stands by every puppy produced, and provides lifetime support. Take a look at our website and contact us with any questions. If you are ready to add one of these beautiful and affectionate puppies to your home, please send us an application. "The goal of Lancaster’s of Gold Canyon is to produce happy, healthy and temperamentally sound Havanese puppies who typify the AKC breed standard." The Havanese is the only National Dog of Cuba and is a member of the Bichon family. It is a pure-bred dog, not a “designer dog mix”. Although it is a toy dog, it is not delicate or fragile. 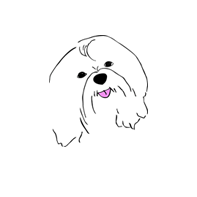 The Havanese is intelligent and learns quite rapidly. They are playful and do well with children as well as other pets, canine and non-canine alike. They are affectionate, energetic and possess great charm. They can have success as Therapy dogs or in Agility, Obedience or Rally trials. The characteristic Havanese will have a profuse, long and silky coat that can be either straight, wavy or curly. The tail is carried as a plume draped over the back. The dog is double-coated which protects it from extreme temperatures. Both the under coat and outer coat are soft and remarkably light in texture. The breed is non-shedding and hypoallergenic. The coat is never woolly. According to the breed standard, the Havanese may come in any color and no preference is given to a particular color pattern. Though originally bred for being a lap dog of the aristocracy, Havanese have evolved into the quintessential family pet. They have strong legs and a springy gait. The body is slightly longer than it is tall and the topline rises slightly from withers to rump. A pure bred Havanese is not likely to be mistaken for another breed. Height ranges from 8.5 to 11.5 inches (ideal from 9 to 10.5 inches) at the withers (shoulder). Weight ranges from 7 to 15 pounds. Life span is approximately 15 years. Havanese are meant to live in the house with their families. They are not considered to be outdoor or backyard dogs. They are not to be used as watchdogs although they will sometimes bark at strangers or when the doorbell rings. These small dogs do not need a lot of space. They have average exercise needs. Havanese dogs can be fairly active indoors – and most enjoy a walk outside with their beloved family member(s). They are often called “Velcro” dogs and will follow their favorite person everywhere throughout the house – including the shower or bathroom! Grooming requirements vary and depend on coat length. Regular grooming is a must however, and can be done by a professional groomer or by the owner depending on time constraints, interest and ability. Lucy and Bobbi Lancaster are the owners of Lancaster’s of Gold Canyon. We have a small breeding program. Our dogs are first and foremost, cherished members of our family and live in our home with us. We started with our first Havanese in 2005 and have never looked back. We are proud members of the Havanese Club of America and the Cascade Havanese Club. We are Breeders of Merit with the American Kennel Club. Our goal is to produce happy and healthy Havanese puppies who typify the AKC Breed Standard. Our puppies are primarily produced to provide exceptional companionship for families. However, we do show a select few of our dogs in AKC approved conformation events. All of our dogs used for breeding are fully health tested and have CHIC numbers once they reach the age of 24 months. Health testing includes x-rays to evaluate hip structure, yearly eye exams to check for congenital cataracts and other inherited eye disorders, a hearing evaluation to ensure that hearing occurs bilaterally, a patella exam to rule out luxation, a blood test to evaluate liver function and a cardiac exam. All of our breeding dogs are either AKC Champions themselves or direct offspring of Champions. Our puppies all come with a health guarantee. Go to www.OFFA.org to check the test results of our dogs, their ancestors and offspring. 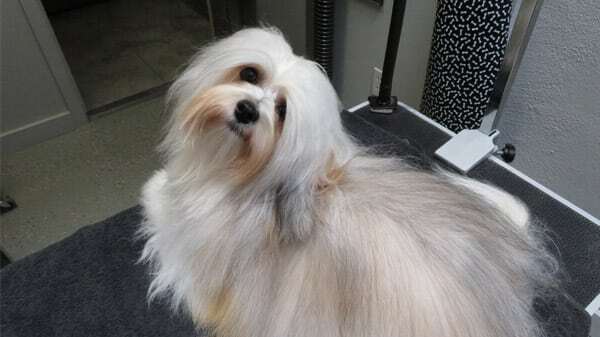 Go to www.Havanese.org to read and learn more about this breed. Raising puppies is an absolute joy but entails much thought and commitment to do it right. Scroll down to read about some of the things that make a Lancaster’s of Gold Canyon puppy unique. 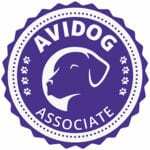 We are proud to be associated with Avidog. They have provided us with continuing education and support so that we can be on the cutting edge and use evidence based methods in our breeding program. From Day 3 through Day 16 of life, a program of Early Neurological Stimulation is carried out. This program, developed by the military, exposes the puppy to mild levels of novel or unusual stress. This exposure helps the puppy to be more hardy and able to withstand both physical and mental stress throughout its lifetime. See http://www.breedingbetterdogs.com/articles/early_neurological_stimulation_en.php for more information. We do not “force wean” the puppies according to the calendar. The puppies and their dam (Mom) are kept together until at least 10 weeks of age and they continue to nurse as long as the puppy wants to and the dam will allow it. The dam is critical in helping the puppy develop boundaries and self-imposed self-control. The puppy learns from the dam and our adult dogs how to be a well behaved member of the pack. The puppies also learn from each other and puppy play is actually a rehearsal for dog-dog interactions later in life. While the puppies learn how to be well behaved dogs from their canine teachers, they learn how to live among humans and be polite members of a household from us. The puppies are Potty Park trained from a very early age and their environment and toys are kept scrupulously clean so that they do not grow up assuming that their toys, den or play areas are supposed to smell like urine. They are taught how to walk on a leash, ride in a car and sleep in a crate. Grooming is something that will be a lifelong event and we start when the puppies are just a few weeks old with regular bathing, teeth (gum) brushing and nail clipping. The puppies are gently handled and all parts of their bodies are touched frequently to prepare them for future grooming sessions and veterinary exams. At about 9 weeks old, the puppies get a very thorough physical exam by our veterinarian who also gives them their first set of vaccinations. The puppies are micro-chipped and ready to go to their forever homes at no younger than 10 weeks of age. Nothing is more important than exposing a young puppy to a variety of sounds, sights and smells. Because puppies develop so rapidly, there are short windows of time where socialization is most important. Socialization refers to the introduction of new sensory experiences and monitoring each puppy’s reaction so as not to induce fear. Praise should accompany the new object or sound to help the puppy associate the new experience with something wonderful. The presence of a “teacher dog”, (usually the dam) will also facilitate the puppies’ acceptance of something new and/or potentially threatening. Puppies born at Lancaster’s of Gold Canyon are extensively socialized from the minute they are born. It is one of our primary goals during the 10 weeks that the puppy will live here and is unique to our breeding program. Different people are invited over to meet the puppies. These include men and women, kids and the elderly. Men with beards and ladies with hats are included. The puppies will have a different style of music played for them every day at different volumes and they are constantly exposed to the sounds and activities of a busy household. They will also be introduced to cats, birds and large dogs as well as different surfaces (gravel, asphalt, tile, carpet etc). They will eat their meals in bowls or plates that are made of various materials and they will eat in different rooms. There is much more to it, but because of all of the planned variation in their routines, the puppies become confident and adaptable dogs. It is essential that puppies continue with their socialization curriculum. We strongly recommend that each puppy and his/her new family attend a reputable “puppy class” where exposure to unfamiliar dogs, people and sounds occurs. Puppy class also helps you and your puppy to bond with each other through the shared experience of training together. Bonding takes place over a period of time. Dogs are pack animals and will readily transfer into a new pack (his new family) with just a little bit of preparation and thought on our parts. With that in mind, new owners are encouraged to come and visit the litter as often as once a week. It’s great for the puppies to see familiar faces and it’s a lot of fun for prospective owners to watch their new baby grow and develop almost before their eyes. This is also the time to discuss concerns and questions about feeding routines, grooming or general care of a puppy. Because dogs rely primarily on the sense of smell, each new owner is encouraged to bring a few toys and a dog bed to get scented with the smell of the dam and littermates. In addition, each puppy goes home with a towel that has our scent on it as well as the dam's and puppies’. This special towel goes in the crate with the puppy on the first night he is separated from his family and helps immensely to comfort him with familiar smells. Each new owner is given a Puppy Packet which includes a detailed list of recommended puppy supplies, AKC and micro-chip registration paperwork, pedigrees and health records of the parents, training tips, grooming articles and breed specific articles of interest. Lancaster’s of Gold Canyon has a life-long interest in each and every puppy we’ve produced. We love getting pictures and hearing updates. Lifetime support from us is always available and we stand behind each puppy we’ve produced with a health guarantee. Boarding your Lancaster puppy in our home is a service we offer for a nominal charge. Your puppy will be reunited with his first family and sleep in his crate in our bedroom next to everyone else. Daily email updates and pictures are included so that your time away can be as stress-free as possible. Puppy Play Days (Family Reunions) are held once a year and all past puppies are invited. It’s so much fun to get reacquainted with littermates and see how everyone is doing. The puppies love to see their siblings and Moms again. In summary, a puppy from Lancaster’s of Gold Canyon is healthy, happy and confident. She comes from health tested parents and Champion bloodlines. She comes to you leash, crate and potty trained. Her health is guaranteed. My sweet girl is Lancaster’s Black Caviar. I call her Beluga. It is no accident that she is the gentle, trusting, well-adjusted, happy puppy I know and love. Lucy Lancaster, AKC Breeder of Merit and Owner of Lancaster’s of Gold Canyon Havanese, literally made her that way…through outstanding breeding choices over the past 10 years, and through the way she raises all her puppies while in her loving care. How do I know? Lucy keeps every new family-to-be updated with daily messages, loads of photos and videos chronicling all the puppies’ progress. She exposes them to a wealth of stimuli, including all sorts of visitors, sounds, experiences, all manner of other species, etc. She even has them well on their way to being potty and leash trained before they leave for their new homes. Remarkable! I am continually in awe of the love, dedication, time and effort Lucy puts into the well being of all her dogs and puppies. As if that were not enough, Lucy is always there for us after we take our precious puppies home. We can call or write anytime forever more for help. That’s true puppy love! straightforward, loving, and an expert in the breed and in raising puppies. Our experience with Lucy Lancaster has been the most exciting and rewarding experience, not just the wonderful puppy that joined our family, also including waiting for a puppy. As strange as that may sound, I brag on our breeder whenever I have the chance. The visits, videos, emails and photo updates put Lucy in a class of breeder that is sadly unheard of today. She keeps us involved, educated, entertained and excited. Our 1st visit was almost 1 year ago, we got to meet one "spoken for" litter, the adult dogs and of course Lucy. As we were interacting with all of the Havanese she asked about our home life, how we saw this puppy fitting in and which of her adult dogs we liked best. We did not know we were already being interviewed for the upcoming union of our new puppy. Once the puppies were old enough for visitors, we were eager to book visit times, and we were able to come multiple times to play with the puppies. Lucy's home is always clean and comfortable, the dogs are always interested in being pet and loved on, and the socialization process is obviously under way. There is a soundtrack playing with crying babies, fireworks, trucks and other loud noises. We have been so blessed to be part of the Lancaster's of Gold Canyon Havanese lineage. Looking forward to meeting other families/dogs at the fall party and we plan to have play dates with our litter mates. This is a family and it shows.